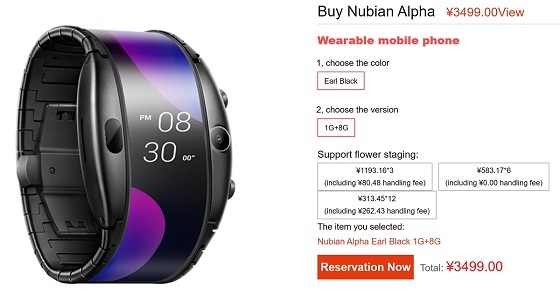 A week ago Nubia has opened reservations their Nubia Alpha slap-bracelet like folding Android phone at Chinese e-commerce platforms such as JD.com, Suning, Tmall, and more. Now pre-orders have opened with the device shipping on the 10th April. While many folding phones were shown off at Mobile World Congress 2019, the Nubia Alpha was by far the most outlandish. 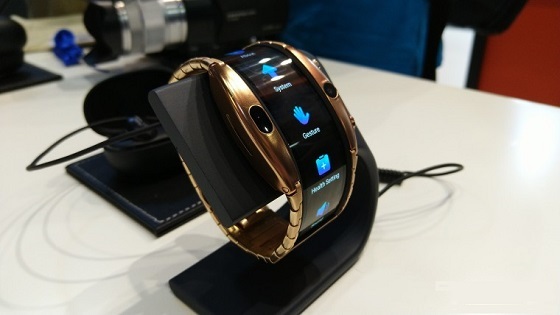 The band features a 4 inch 960×192 OLED screen, 1GB RAM and 8GB storage and a 5-megapixel camera, powered by a Snapdragon 2100 processor and can run a custom version of Android for a day or two on its 500 mAh battery. It comes in both a Bluetooth and eSIM version. Besides the multi-touch screen, it can also be controlled via gesture-based air controls, which lets you scroll through and go into and out of menus. 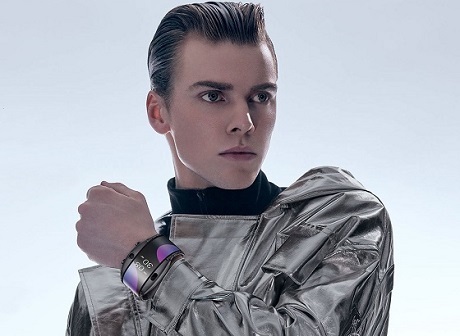 If you want to look as futuristic as the model above you can head to the nubia pre-order website and pick up the 4G model in black for ¥3499 (around $520 USD), with the wearable phone shipping tomorrow.